Recently, the ethnic skin care market has been vibrating with the two newest product releases manufactured by Makari. 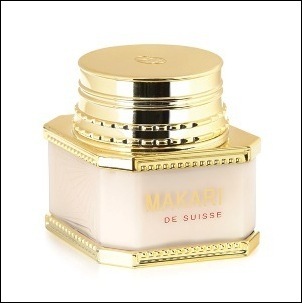 Recently, the ethnic skin care market has been vibrating with the two newest product releases manufactured by Makari. These products have begun to be researched back in December of 2006, however, they only hit the final production this past spring season. The first product, the Clear-Acnyl Cream , has emerged by popular demand of those struggling with acne sensitive skin. Today, a large percentage of men and women suffer from acne and other related skin conditions. In melanin rich skin especially, the marks and scars left behind from passing acne are stubborn and very difficult to fade. The Clear-Acnyl Cream therefore addresses active acne and helps clear all traces of post acne. “The significant factor about this product is, that to this date, it is the only product in the entire skin care industry that focuses on acne in melanin-rich skin,” says Romell Duresseau, National Beauty Director for the Makari brand. Subsequent is the product that enhances an even, lighter complexion through avoiding the skin’s contact with the sun’s rays and being a skin lightening cream on the overall. The Anti-UV Whitening Cream, as it is called, contains SPF 20 and is a day cream suggested for daily use. Again, this product is distinctive for its bi-functional formula which is critical to solar reacting pigments in melanin rich skin. Romell says, “Despite its recent emergence, these innovative products are selling extremely well, since they have been anticipated by a myriad of existing Makari users. Makari is a high end skin care line intended to improve the hygiene and complexion of melanin rich skin. Its extensive range is completed by face creams, body creams, bath products, make-up and a baby line. Each year, several new products are added to the range increasing the possibility for any skin type to receive custom care. For more information on how to purchase these products or what product to choose, contact http://www.makari.com or 877-942-3288.